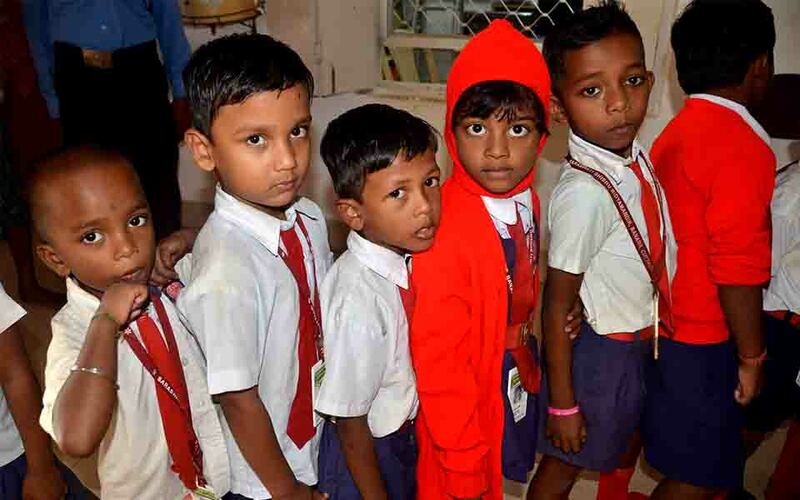 Thirty-six percent of children under five years of age are underweight in India. Most of these kids are from rural households and lack basic facilities like health and education. 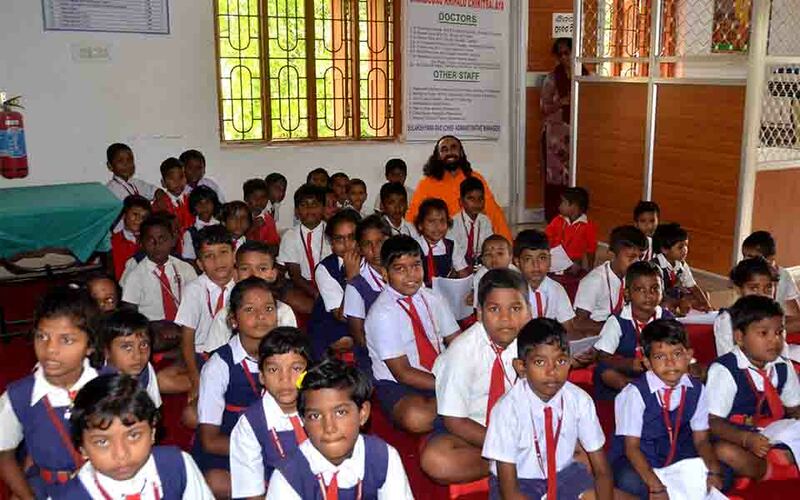 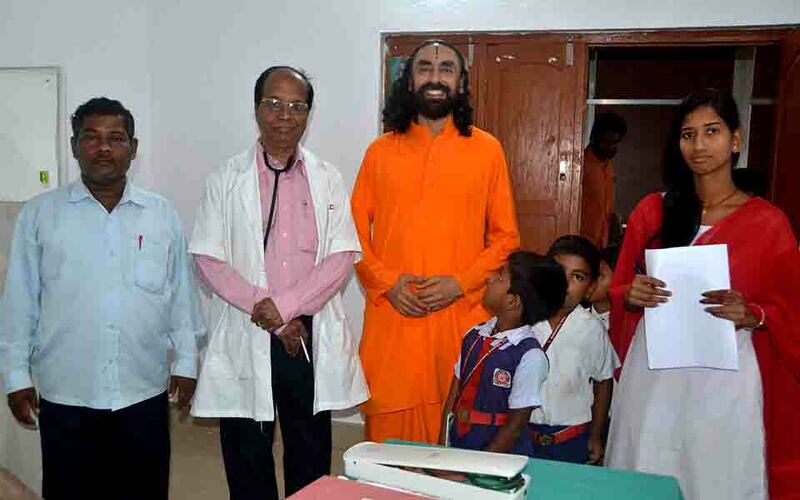 In an initiative to help change these conditions, JKC and its volunteers conducted a Children’s healthcare camp in the presence of Swami Mukundananda, for the rural underprivileged kids of Banara and nearby villages. 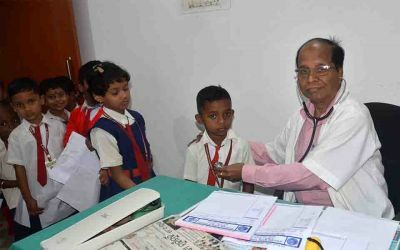 The doctors and volunteers helped to test the blood group, Rh typing, Haemoglobin, and physical examination advised by a Paediatric consultant. 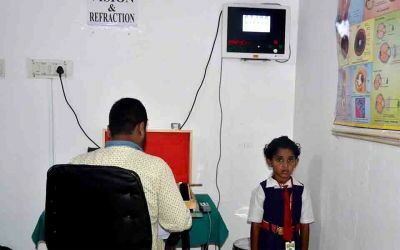 Every kid attending the camp got an eye test, ear test, general blood tests for cholesterol, full body check, all free of cost. The camp also collected data of rural health index of the kids from underprivileged families in Banara Panchayat. 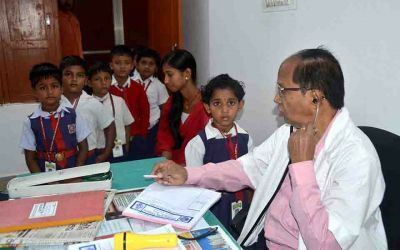 In India, 45 children die every hour due to respiratory infections. 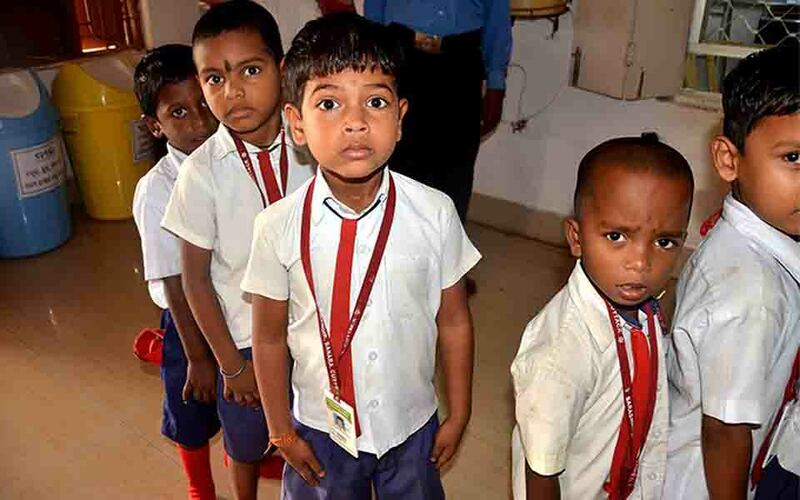 1 child dies every 2 minutes due to diarrhea. And annually, about 2 million children under 5 years of age die due to preventable diseases. 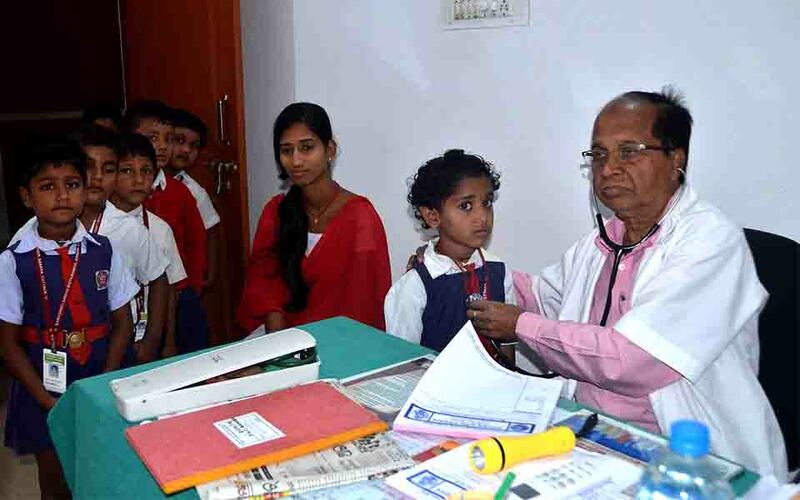 JKC children’s camp is one such initiative of JKYog to provide clinical services to meet the immediate health care needs of the marginalized community of the rural areas and suburbs, through one-day camps. Customized camps are important and necessary extensively across these villages as the first step in offering comprehensive health services wherever necessary to the underprivileged sections of society.